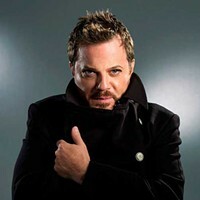 Comedian, actor, and activist Eddie Izzard has bushwhacked a singular path for himself through polite British society. With blatant disregard for social norms and biases, Izzard has always done exactly what he wants, shocking onlookers, ruffling feathers, and making people laugh along the way. In 1985, Izzard came out publicly as a transvestite, a move he spent years defending both through activism and comedy. On any given day, he is as likely to take the stage wearing a tux with manicured red fingernails as he is to don a leather skirt and fishnet stockings. The heavy makeup and blonde pixie cut seem to be the only constants. "I'm really gender-fluid," he recently told Chronogram in an e-mail interview. "If you try and really define the difference between masculinity and femininity, it's almost impossible to do. Most people have some sort of a mix of genetics, and my mix is probably half boy, half girl." He has riffed on this idea throughout the years, calling himself "a straight transvestite, or male lesbian." Izzard is a habitual nonconformer—every time you think you've got him pinned, he turns around and does something totally shocking and impressive. In 2009, virtually out of nowhere, he completed 43 marathons in 51 days to benefit British advocacy nonprofit Sport Relief. Said differently, he ran 1,127 miles in just over seven weeks. "I thought if I managed to run these marathons, I could reclaim the fitness of my youth, help raise a bunch of money for people around the world, and also maybe do something adventurous," he says casually. "You just need to decide to do it, and then have enormous determination." No biggie. If physical vivacity weren't enough, Izzard has also demonstrated incredible mental alacrity, learning enough German, Spanish, French, Russian, and Arabic to do stand-up routines. Comedy is notoriously idiomatic, requiring a comfort and dexterity far beyond basic conjugations and hotel lobby vocabulary. Yet Izzard shrugs it off nonchalantly. "If you perform in English in a country that speaks a different language, you will probably just play to expats. I really want to perform to people of those different countries," he says. "Also I hope it sends out a positive message of what one can do in an increasingly negative world." In 2017, to top off his list of wildly varied and impressive accomplishments, Izzard published his long-awaited first book, Believe Me: A Memoir of Love, Death, and Jazz Chickens. (Spolier alert: The jazz chickens of the title are a ruse.) Ironically given his verbal dexterity and highly literate social commentary, written language has always been a challenge for Izzard. "I am dyslexic so writing (and reading) happens really slowly for me," he says. Finding a method to get his life's stories on paper was a major hurdle for the book, until he began collaborating with Cambridge ghostwriter Laura Zigman. "I essentially dictated the book to her. She did all the heavy lifting," Izzard says graciously. "She chose the chapter orders, which chapters should be included, and wrote the tail ends of nearly every chapter. I only wrote chapter one totally myself." As the title indicates, the book is not all laughs, though those are there too. It covers topics like the death of his mother when he was six, boarding school, and alternative sexuality with the same sincerity and candor fans have come to expect from his standup, painting a vivid picture of the man behind the comedy routine. Bill Gates has named Believe Me as one of the "5 Amazing Books I Read This Year." 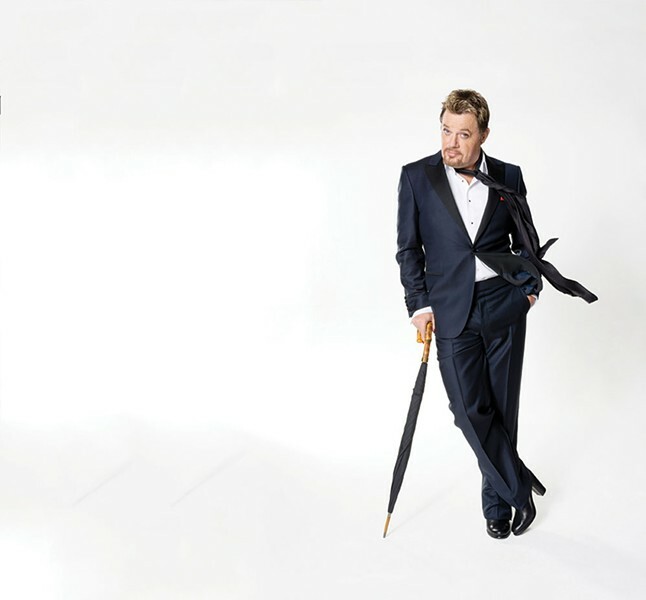 Izzard's "Believe Me Tour: Comedy, Painted Nails, Politics, My Life," which is already booked in 40 countries and four languages, combines stand-up, storytelling, and audience participation. It comes to UPAC in Kingston on February 16 at 8pm. (845) 339-6088.